Peter Ruess is a founding partner of Arnold Ruess, a boutique IP firm in Dusseldorf, Germany. He is also a full professor of law with the International School of Management, one of Germany’s leading private business schools. Previously, Professor Ruess worked with Freshfields Bruckhaus Deringer LLP for several years, specialising in intellectual property, with a focus on trademark and unfair competition law, IP litigation, product launches and licensing. He also regularly reviews and coordinates international advertising campaigns for his clients. 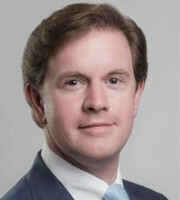 The Dusseldorf Bar Association has awarded him the title of Fachanwalt (bar-certified specialist) for IP law, and he is highly recommended in his area of expertise in several national and international rankings, including World Trademark Review, Best Lawyers, Who’s Who Legal, Chambers, Legal 500, Leader’s League and JUVE. Professor Ruess pursued his law and supplementary business studies at the Universities of Bayreuth and Vienna. He holds a law degree and German SJD (Dr jur) from Bayreuth University and an LLM in IP law from the George Washington University Law School, Washington DC, where he was awarded the Thelma Weaver Memorial Award for outstanding contribution to academic life. Professor Ruess has also served as a legal extern to Chief Judge Randall R Rader at the US Court of Appeals for the Federal Circuit. Professor Ruess is a regular speaker at national and international events, and has given presentations in Amsterdam, Brussels, Cambridge, Dubai, Hong Kong, London, Krakow, Oslo, La Quinta, New York, Vilnius, Washington DC, Zurich, Vienna and various German venues. He has authored or co-authored more than 70 publications in legal journals and books. He is also an active member of several professional associations. Professor Ruess currently serves as a member of the American Intellectual Property Law Association’s IP Practice in Europe Committee.